The Dark Night: Book One The Passive Night of the Senses — The Contemplative Life. It is an understatement to say that St. John is a frustrating writer to follow. Not only does he outline his own work in several distinct and competing ways, he also often fails to follow through with his own writing plan! On top of that, the images and vocabulary he uses are often interpreted in different ways even within the same work. 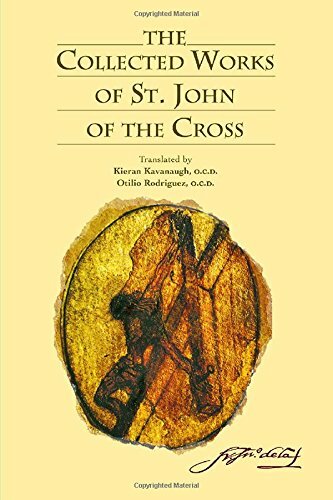 I do believe there is a lot of value in St. John, but trying to read him in a systematic fashion is extremely difficult. It is almost better to read small selections and take what you can from them. The outline I gave in The Ascent of Mount Carmel Book 1 seems to me the most natural, but it is not the only possible outline of his thought. If you really want to dig into St. John, be warned. Alright, that digression aside, The Dark Night is a natural sequel to The Ascent of Mount Caramel as it continues the train of thought from that work. But it is not certain that St. John meant for them to be joined. That said, they are very difficult to interpret apart from one another. Book 1 of The Dark Night concerns the Passive Night of the Senses, which John promised to address in The Ascent. While in The Ascent, St. John talks about "the senses" as the pleasure we get from things in the world, in The Dark Night, "the senses" are spoken of as the pleasures we get from discursive spiritual exercises. The Passive Night of the Senses, then, is when God removes the consolations one gets through discursive spiritual exercises in order to bring the soul closer to the unitive state. God now leaves them is such darkness that they do not know which way to turn in their discursive imaginings. They cannot advance a step in meditation, as they used to, now that the interior sense faculties are engulfed in this night. He leaves them in such dryness that they not only fail to receive satisfaction and pleasure from their spiritual exercises and works, as they formerly did, but also find these exercises distasteful and bitter. As I said, when God sees that they have grown a little, he weans them from the sweet breast so that they might be strengthened, lays aside their swaddling bands, and puts them down from his arms that they may grow accustomed to walking by themselves." As we can see, on St. John's path, spiritual consolations (i.e. feelings of inner peace and joy in God, etc.) are necessary for beginners. They are of great benefit to help the novice remain on the spiritual path. But eventually, as with the things of the world, attachments to these feelings must also be rejected. And the soul is not strong enough to do this on its own. Ultimately, the soul must be passive, and allow God to do this work. "...until a soul is placed by God in the passive purgation of that dark night....it cannot purify itself completely of these imperfections or others. But people should insofar as possible strive to do their part in purifying and perfecting themselves and thereby merit God's divine cure. In this cure God will heal them of what through their own efforts they were unable to remedy. No matter how much individuals do through their own efforts, they cannot purify themselves enough to be disposed in the least degree for the divine union of the perfection of love. God must take over and purge them in that fire that is dark for them..."
And yet the Passive Night of the Senses is not the end of the journey, nor the last struggle that the soul will encounter. The final, most intense, night is still to come.